German Theme at your wedding. Home » Latest News » German Theme.Um Pah – The Bavarian Strollers. 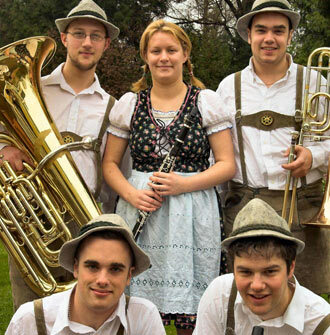 The Bavarian Strollers are regularly booked for corporate events and have recently been booked by BMW, Munich RE Insurance and T-Mobile to name a few. The band can add a touch of class and a bit of something different to any event and can perform anything from traditional Bavarian music in the background to a full Bier Fest for your clients.